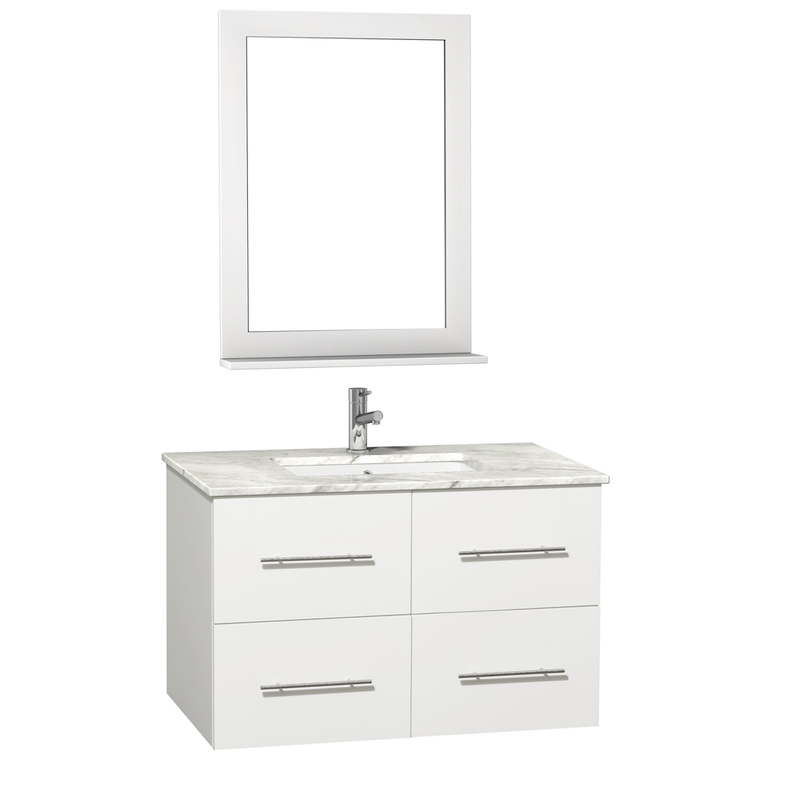 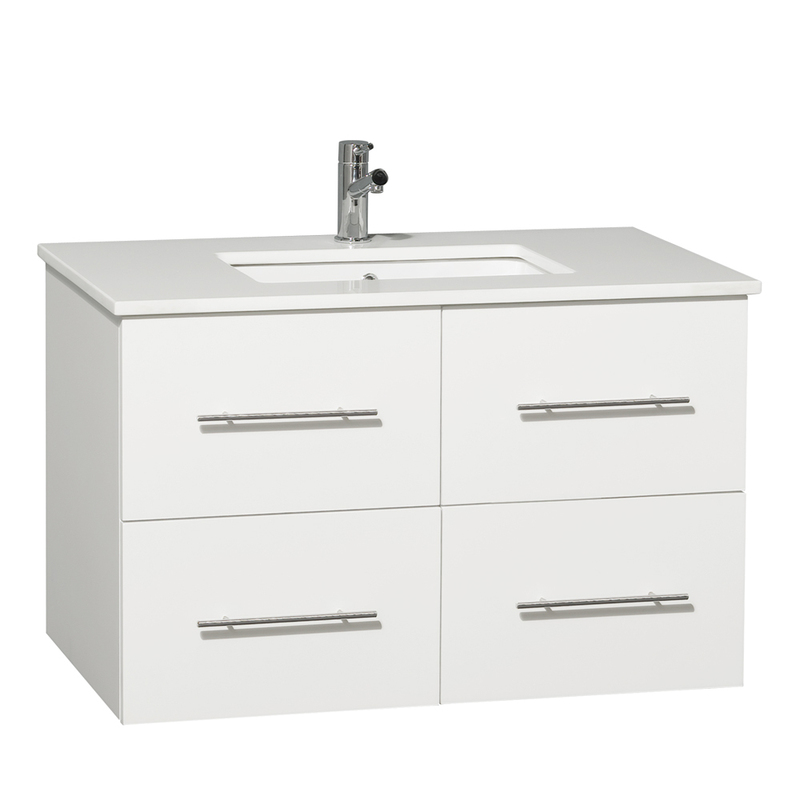 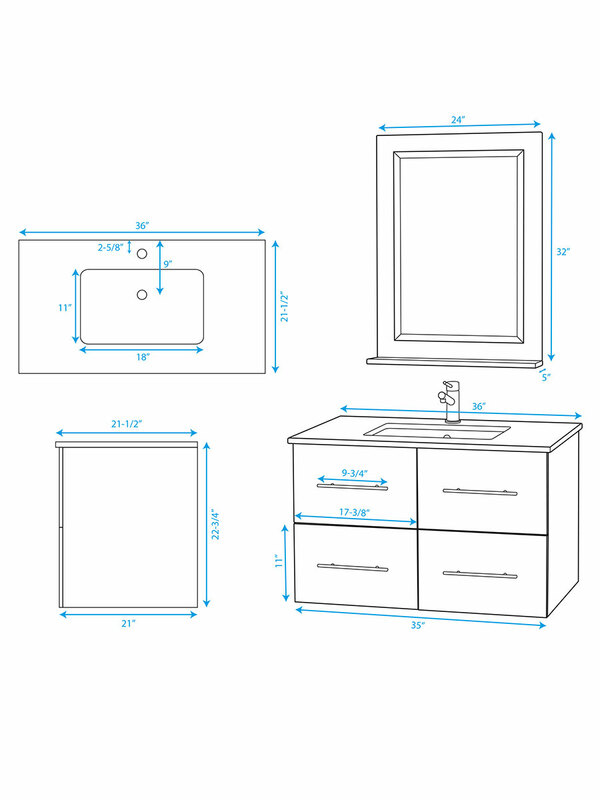 Brighten your bathroom with the 36" Zentra Single Vanity. 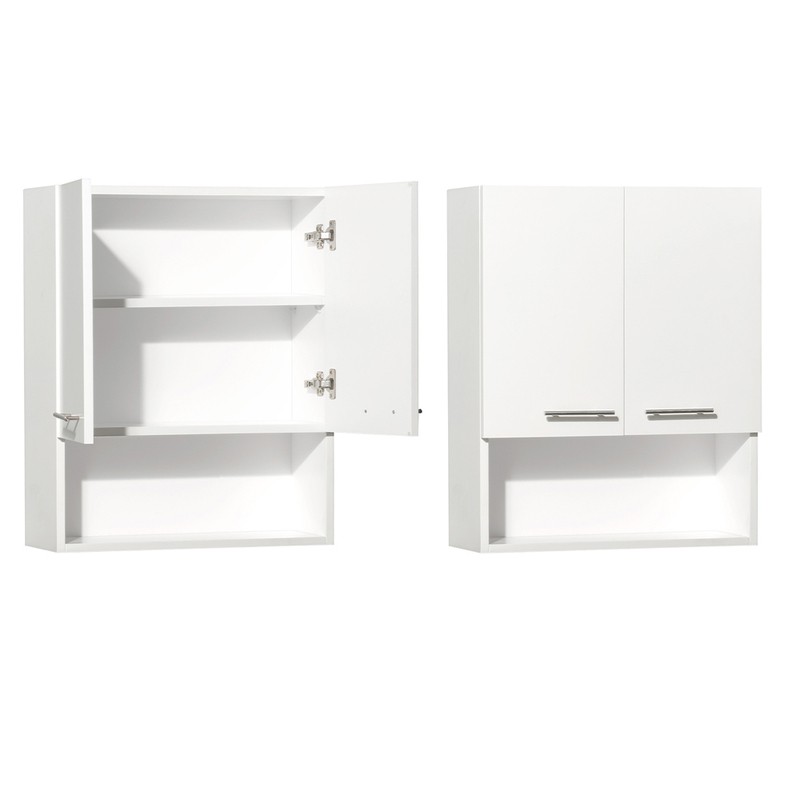 Its solid oak cabinet is finished with a lustrous White finish and offers a double-door cabinet, along with two functional drawers. 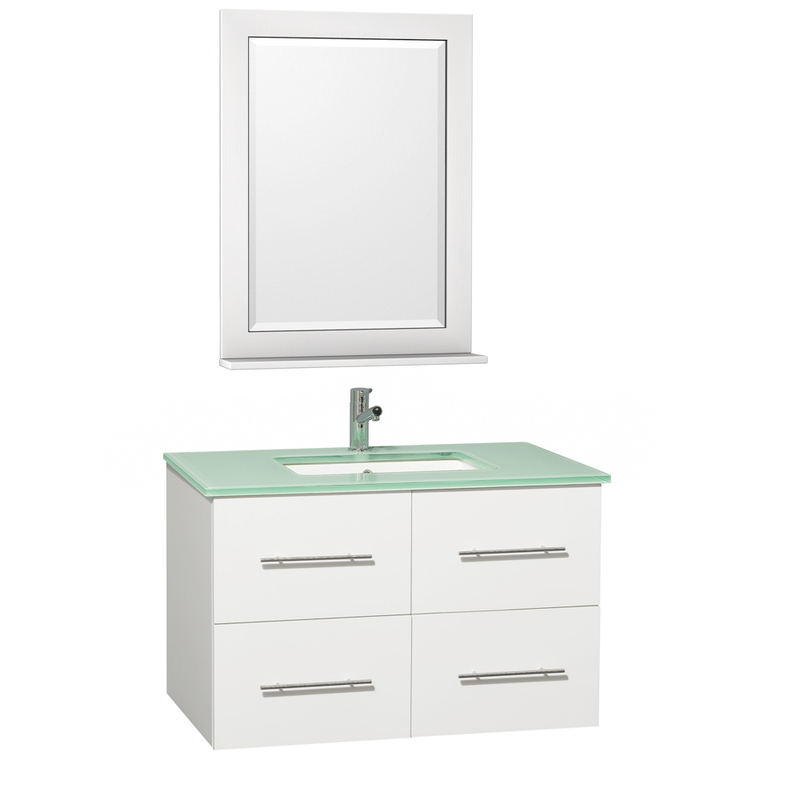 The top is available in green glass, white artificial stone, ivory marble, or carrera white marble and is accompanied by a porcelain undermount sink. 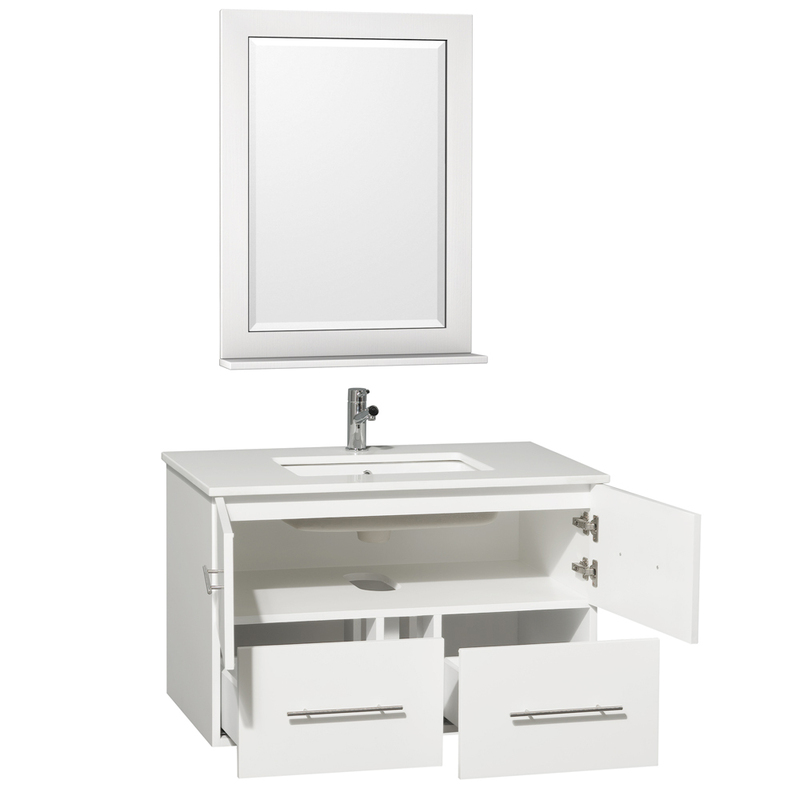 It also comes with a matching mirror. 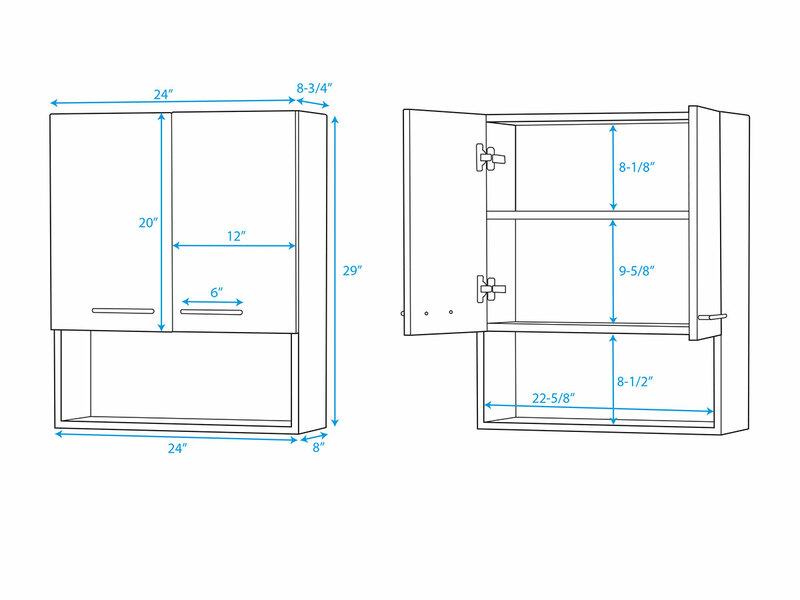 Add the optional wall cabinet for additional storage space!